The right to vote is sacred in our democracy. Like so many other fundamental American values, that right is under attack by the Trump administration. Trump’s sham “voter fraud” commission uses outright lies as a pretext for pushing laws that further restrict the right to register and vote. Trump has claimed — falsely — that large numbers of voters from Massachusetts voted illegally in New Hampshire in 2016. That’s simply not true. I would know. I was the Massachusetts State Counsel for the Democrats in the general election and a senior member of the New Hampshire voter protection team. For many years, I have worked hard on the voter protection programs of campaign after campaign to ensure that every eligible voter can vote and that every valid vote is counted. Our democracy does not work properly when voter suppression, long lines, and unfairly restrictive laws make it harder for people of color, students, and non-native English speakers to vote. These obstacles have had profound impacts on numerous elections, effectively disenfranchising communities most in need of a voice in government. Trump is now weaponizing the myth of widespread voter fraud to justify voting laws that disproportionately keep communities of color and young people from the polls. Thankfully, restrictive voting laws have not made inroads in Massachusetts. But Massachusetts now has an opportunity to lead the way on progressive policy that expands access to voting by adopting sensible measures that make it easier to register and vote. 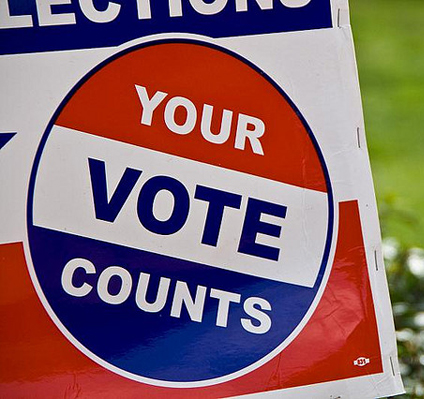 Nearly 700,000 eligible Massachusetts voters are not registered to vote. Too often, these voters realize too late that they have missed the deadline for registering to vote and lose the opportunity to have their voices heard in our elections for purely bureaucratic reasons. The voters whose voices are excluded by this process are disproportionately young people and people of color. With the backing of Senate President Stan Rosenberg, our legislature is considering a common sense solution to this problem that has worked well in ten other states and D.C.: automatic voter registration. Under this approach, co-sponsored by Sen. Cindy Creem and Rep. Peter Kocut, Massachusetts would automatically register voters when they interact with any part of the government, reducing barriers to voting by making it easier to register to vote or to re-register after moving. It is time for Massachusetts to be a leader in ensuring that all eligible voters have access to the ballot. Let’s pass automatic voter registration and make sure that all our citizens have a voice in our Commonwealth.